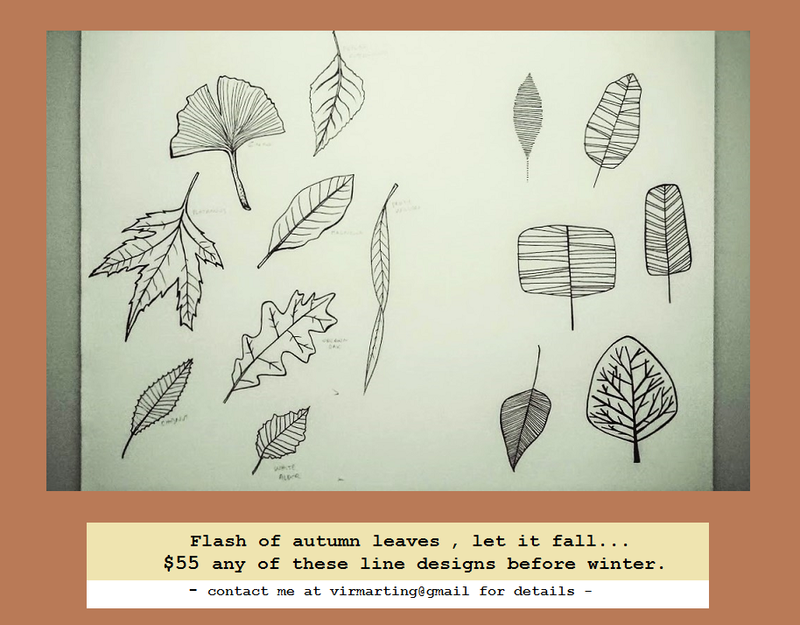 Every First Fridays of the month I offer special prices on my Traditional Designs. Usually you can choose from more than 25 designs, I add new ones each month. No cover up, hands, feet, neck or head tattoo for this special. We can talk about this things for a regular price. I usually work on “First Come First Serve” basis but it’s always good to let me know if you are coming. Todos los primeros viernes del mes ofrezco precios especiales en mis diseños tradicionales. Por lo general, puedes elegir entre más de 25 diseños y añado nuevos cada mes. No cover up, manos, pies, cuello o cabeza para este especial. Podemos hablar de esto por un precio regular. Normalmente trabajo en base al “Primero en llegar, primero en servir”, pero siempre es bueno avisarme si vienes. Friday the 13th is already here! 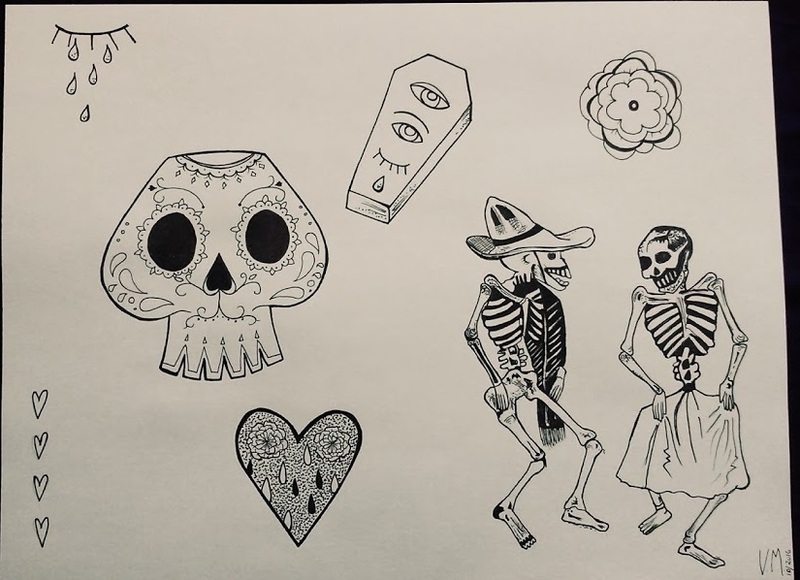 Probably you all know that on Friday the 13th tattoo shops have special deals on little flash tattoos. 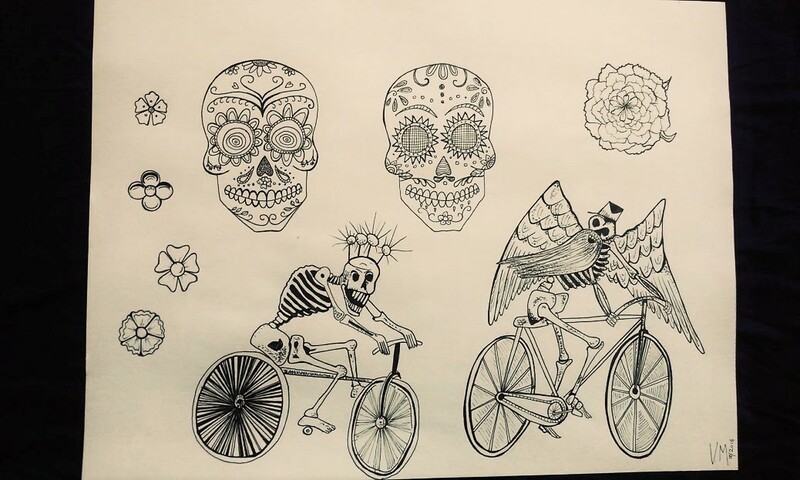 Here is mine: $31 for line tattoos and $50 for color on these specific designs (picture above). The designs are around 2″ inches big. I’ll be at the shop from noon to 7pm, first come first serve basis. The designs will be available at regular prices after the Friday the 13th event. 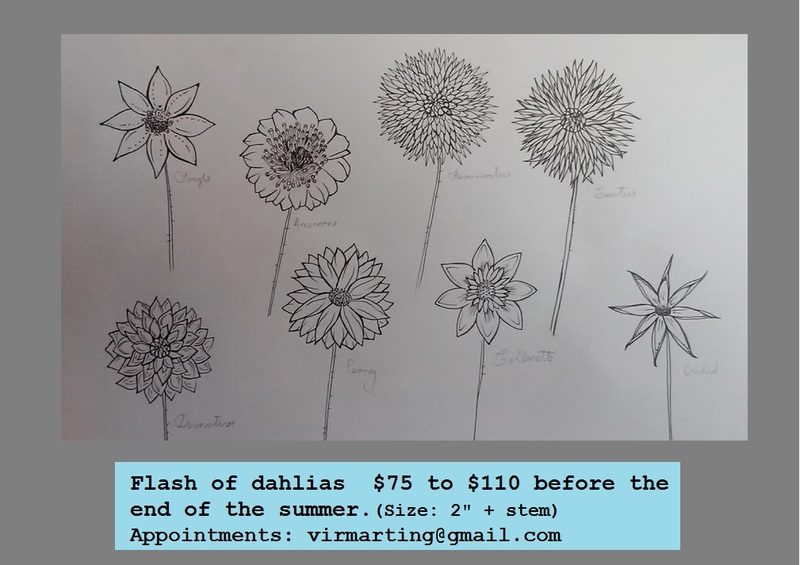 Write me an email if you have any questions: virmarting@gmail.com. (I’ll be busy tattooing tomorrow so don’t except me to answer back then, but I’ll if you write to me before). DVC TATTOO in Vancouver, WA downtown: 105 E 9 St. , 98660. Friday July 13th, noon to 7pm.